UVA’s Zhen Yan, an expert on the cellular benefits of exercise, and his team are working to better understand how the body is damaged by the restoration of blood flow – known as “ischemia reperfusion injury” – and to find ways to improve outcomes for people who suffer it, including surgery and trauma patients and soldiers injured on the battlefield. Their new finding shows that pre-injury exercise has substantial benefits in terms of preserving both muscle and nerve. Because of the damage caused by reperfusion injury, doctors now seek to limit the amount of time blood flow is cut off to no more than 90 minutes. “There are some situations where you have to stop bleeding to save life,” Yan said. “The way we often do that is by putting on a tourniquet, to completely stop the circulation until the patient can be taken to the emergency room. 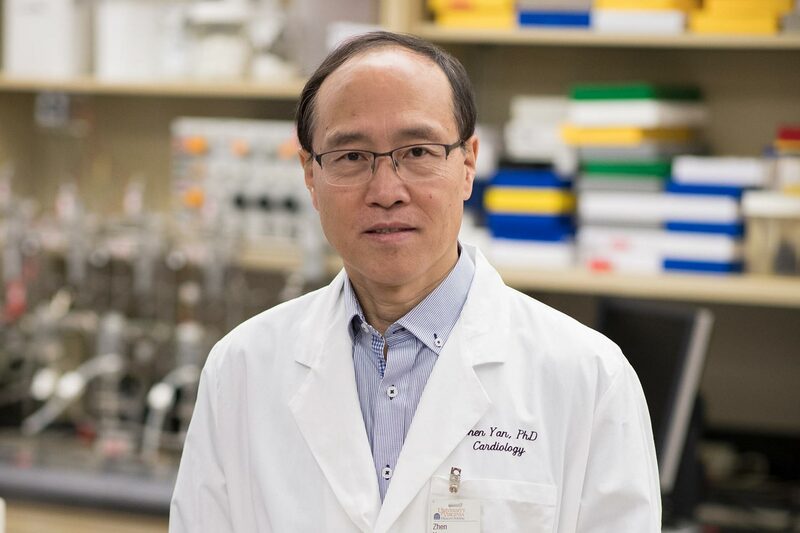 While the mechanism for that protection is not yet understood, Yan’s previous research has shed light on what happens to muscle cells when blood flow is restored. He likens it to wires being disconnected from a circuit board. He’s even identified a compound that, in mice, helps protect the mitochondria in those circuit boards. Yan and his colleagues have published their latest findings in the Journal of Applied Physiology. The research team comprised Rebecca J. Wilson, Joshua C. Drake, Di Cui, Matthew L. Ritger, Yuntian Guan, Jarrod A. Call, Mei Zhang, Lucia M. Leitner, Axel Gödecke and Yan.